This charming two bedroom bungalow has been tastefully renovated. Refinished inlaid hardwood floors on main reveal hidden character and charm. An open floor plan allows for a new kitchen complete with Granite countertops, soft close cabinetry & an island with breakfast seating. New main floor bath w/ suspended double vanity. Master with view & custom closet/cabinets. Completely renovated basement could accommodate a suite. 2 bedrooms, a rec room, new 4 pce bath with radiant heat & a separate laundry. Access from kitchen to back deck, rear yard & patio. Perched at the top of Victory Heights with a commanding view of the coastal mountains. 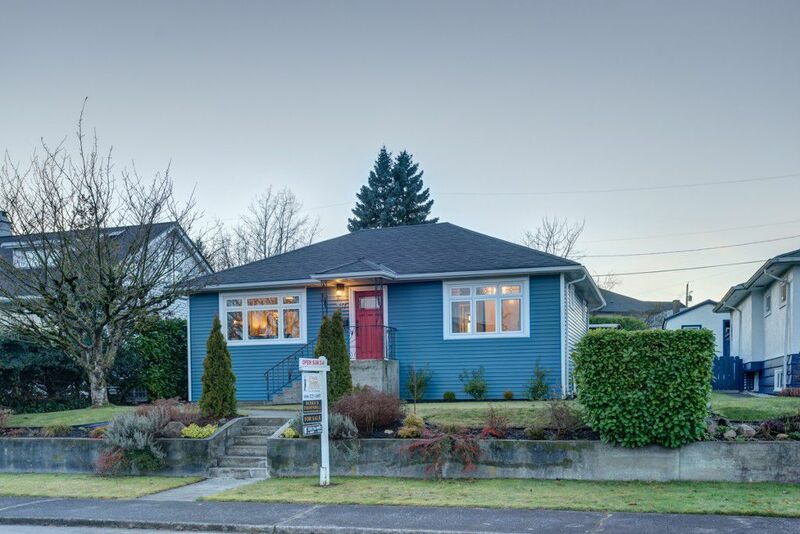 20 min from downtown, 10 min from SFU, 5 min from the #1 Hwy and shopping almost at your doorstep make this a premium location in New Westminster's sought after Victory Heights neighborhood. Community park outside your door!